The Grand Lodge of Kentucky, F&AM held its 217th Annual Communication October 17th and 18th at The Galt House in Louisville, KY. Most Worshipful Brother Todd Jones, member and Past Master of Fleming No. 112 and Favorite No. 581, was elected Grand Master. 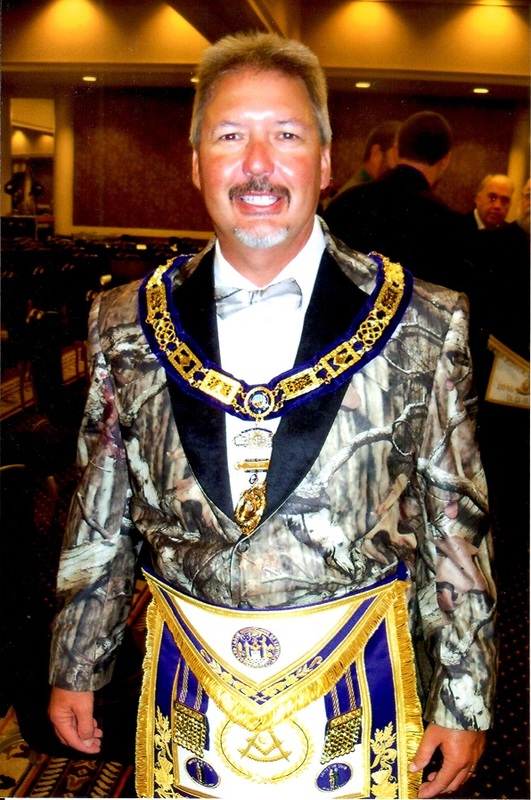 Most Worshipful Brother Todd is shown here displaying his famous camouflage tuxedo jacket. Worshipful Brother Kevin Schneider, member and Past Master of Bradford No. 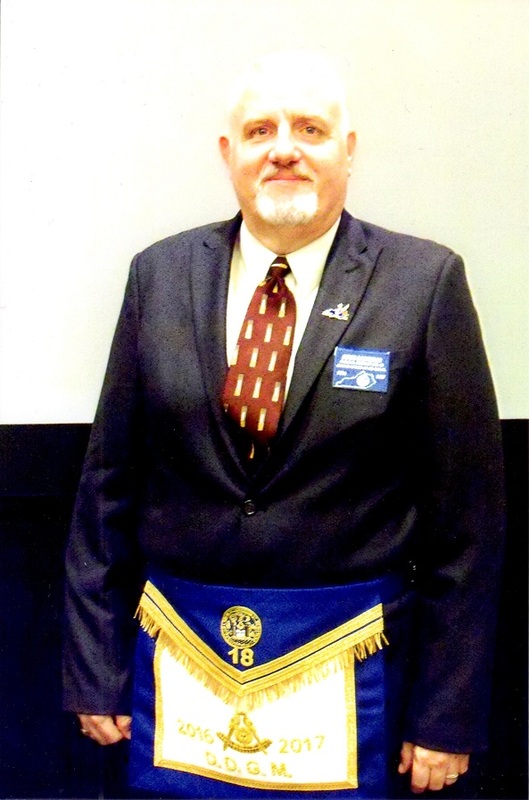 123 was named District Deputy Grand Master for District 18. Congratulations Brother Kevin! We look forward to your year as DDGM. Right Worshipful Brother Geary Laird, member and Past Master of Shawnee No. 830 (and a frequent visitor to District 18) was elected Grand Junior Warden. Kentucky Masons placed over 1,100 bicycles in elementary schools across our State as incentive awards for perfect attendance. 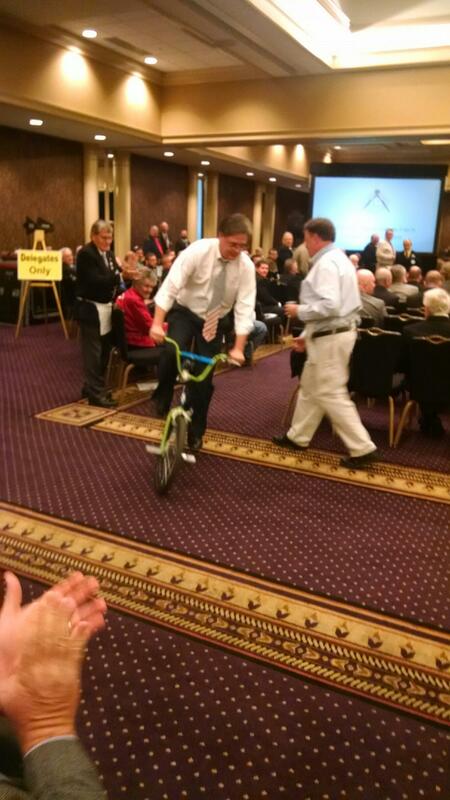 As he promised, outgoing Grand Master, Most Worshipful Brother Cloyd J. Bumgardner, rode a bicycle at Grand Lodge to celebrate this significant achievement. Stephen L. Pruitt, Commissioner of Education for the Commonwealth of Kentucky, thanked the Grand Craft for implementing the bicycle program and for its positive impact in Kentucky schools. Worshipful Master Ernie Stratton represented our Lodge at this historic communication. Our Lodge received the Grand Master’s Excellency Award in recognition of the Lodge’s accomplishments in the 2015-2016 year. Legislation presented by our Lodge giving Kentucky Lodges the option of opening and transacting business on any of the Three Degrees in Masonry received a majority vote and was laid over for a final vote at the 218th Annual Communication of the Grand Lodge of Kentucky in October of 2017. Delegates to the Grand Lodge also approved a recommendation of the Fraternal Relations Committee permitting intervisitation (but not dual membership) with the Most Worshipful Prince Hall Grand Lodge of Kentucky and its subordinate Lodges. Delegates also approved recognition of the Grand Lodge of Estonia. Visiting Masons from Prince Hall Lodges or the Grand Lodge of Estonia should be vouched for or tried in the same manner as all visitors. Approval of both recommendations is effective immediately. Worshipful Brother Dan Kemble was appointed to the Grand Lodge Committee on By-Laws. Worshipful Brother Dave Cassesa, current Master of William O. Ware Lodge of Research No. 999 and an honorary member of our Lodge, was appointed to the Grand Lodge Committee on Masonic Education.